At a time when issues surrounding migrants, refugees, and immigration have taken center stage, the Tenement Museum is a potent reminder that, as a nation shaped by immigration, our brightest hope for the future lies in the lessons of the past. Our mission is to foster a society that embraces and values the role of immigration in the evolving American identity through guided tours; curriculum and programs for secondary and post-secondary educators; stories, primary sources and media shared on our website; and interactive online experiences such as Your Story, Our Story, podcasts and more. 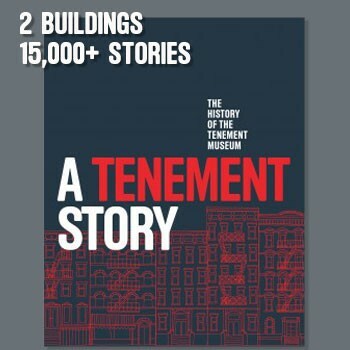 Founded in 1988 by historian Ruth Abram and social activist Anita Jacobsen, the Tenement Museum explores the uniquely American story of immigration and the rich, diverse landscape it continues to create. The Museum took root when Abram and Jacobsen discovered 97 Orchard Street — a dilapidated tenement building that had been shuttered for more than 50 years. 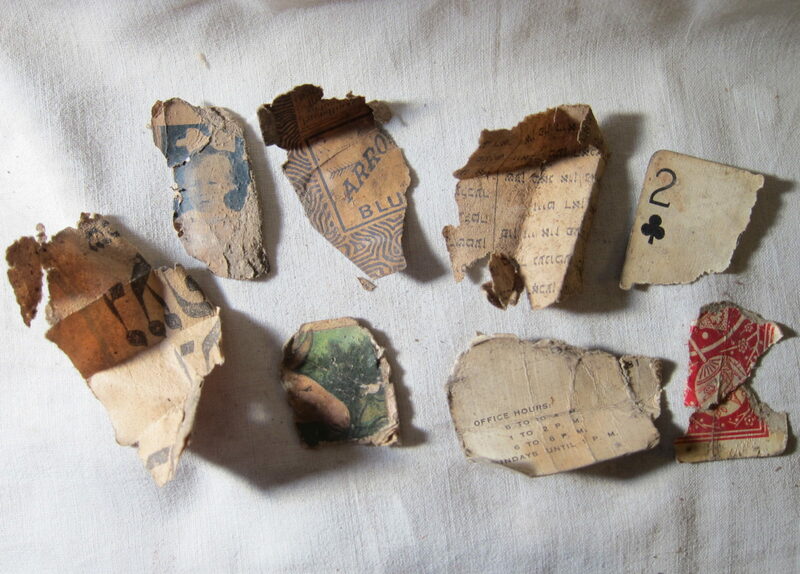 Although the building was in ruins, they uncovered personal belongings and other evidence of the immigrant families that called those apartments home between the 1860s and 1930s. These artifacts and the families who owned them became the foundation for what the Tenement Museum represents today: a belief that our national identity is best understood and appreciated through the stories of real families whose lives have shaped our shared history. Today, we explore stories of immigration and migration through guided tours of our two tenement buildings at 97 and 103 Orchard Street and their Lower East Side neighborhood. These immersive trips back in time offer a chance to explore identity, public policy, urban development, architecture, and other themes through the true stories of the ordinary families who lived in these iconic buildings and the people in the neighborhood. 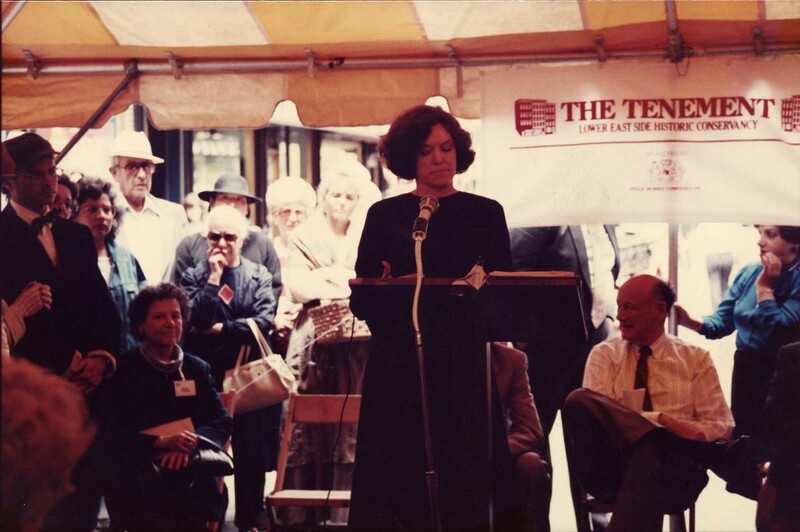 The Tenement Museum provides many opportunities to understand the experiences of immigrants and migrants, and the fundamental role they play in defining our national identity. Below are a few ways we educate and inspire deeper understanding. 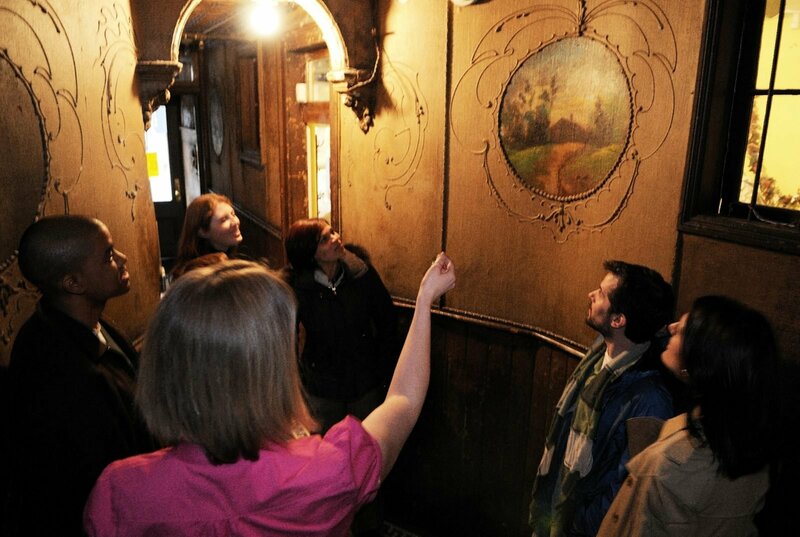 Walking tours at the Tenement Museum provide visitors with a curated exploration of the often-forgotten places, unexplored spaces, and untold stories that have shaped one of America’s iconic immigrant neighborhood. By visiting historical sites in the dynamic and ever-changing Lower East Side, visitors learn about the neighborhood’s past, engage with the neighborhood’s present, and identify their role in their own neighborhood’s future. Take your class on an engaging educator-led tour and bring the immigrant experience to life. Students will be inspired to make connections between the past and their own lives. Our Lesson Plans and virtual tours for classrooms on Google Expeditions can complement a visit to the Museum or be used independently. In our innovative Shared Journeys workshops, learners of English as a new language tour the recreated apartments of immigrant and migrant families and compare them to their own experiences while practicing vocabulary, listening, and conversation skills. Offerings include programs for adults, middle and high school students, and families. Join us for free readings, discussions, performances, and screenings that spotlight New York’s immigrants, migrants, and refugees and the issues that impact us, past and present. Our online storytelling experience, Your Story, Our Story explores American migration and cultural identity through everyday objects. In this national initiative, people of all ages from across the country are invited to share their own stories with an object that has special meaning for their family.